Here come the bikes! I mean the Motorbikes. No need to worry, maybe gather earplugs due to the increase in the Vva-Vroom volume and a blindfold if you see them while sight-seeing through the town at night. These peeps are just here for the fun. 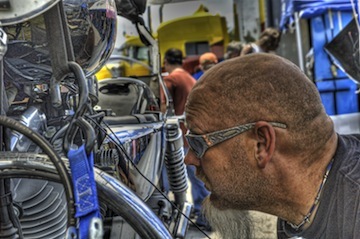 Once a year, motorcyclists from all over Texas and beyond come to Austin to celebrate the ROT Bikers Rally. R.O.T. stands for Republic of Texas. In spite of hundreds of thousands of bikers, we definitely get the benefit of increased business sales, but have you actually sat down to get to know what these bikers do? Maybe this is as far as your feet want to travel – just to the computer staging area, but at least you’ll have done yourself the favor of learning a little more about ROT, bikers, and bikes. That’s what good homeschoolers do, right? – Learn! I somewhat like the simultaneous roar of the motorcycles’ engines as a line of bikers drive down the road. It does get a little boggy when trying to get somewhere where these guys want to be too, but as Austinites, we just have to remember it won’t last forever and the image of all those motorcycles helps us remember to be on the lookout for bikers when we drive our cars. 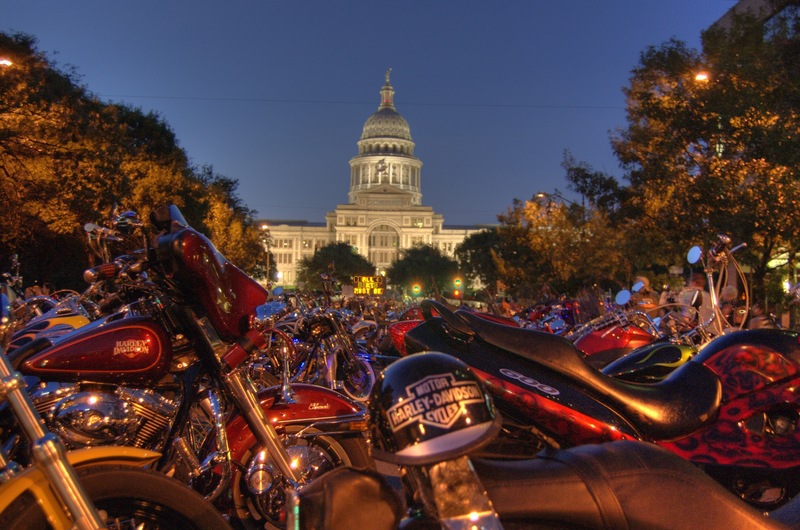 They may even tempt you to purchase one, and if so, get to know the Texas Motorcycle Laws. Bikers used to have a bad rap for being a bunch of gangsters, but now they have reputation of a group of like-minded individuals who look out for american citizens in need. They might look a little scary to those of us who don’t dress like they do, but underneath the leather, beards, and bandanas, they really are nice people. Most of them know quite a lot about motorcycles and motorbiking safety too; they probably have some good advice about motorbikes if you ask them. The motorcycles driven aroun d town this week and next may be quite unique, decked out, and souped up. There will be several types of bikes to go along with the several types of personalities and personal preferences the bikers have. There are small and simple for the single person not going too far, large and compartment-loaded for one or more riders coming from quite a ways, and even double-seated ones for two bikers wanting their own space. Cowboy Harley-Davidson and Central Texas Harley-Davidson are especially happy during the ROT Rally. They make large sales and promote biking safety like no other time of the year! There are plenty of other motorcycle dealers and motorcycle accessory stores in and around town to suit your itching wallet. Of course there are numerous motorcycle repair shops as well. Hopefully you now have a better understanding of what ROT’s all about. Be safe. Have fun! Thank you for the kind words. We enjoy coming to visit your town each year. Austin is one great town here in Texas. Learn how to ride a bike, most dealers provide a class for you to learn to ride. Thanks to all who look out for us as we ride, our families like us to return home after a weekend like this. You are most welcome. It was fun and enlightening to write this article. Glad you enjoy Austin and cycling here! You are very right that we should all learn how to ride a motorbike. It just might come in handy one day. I’m impressed with the classes I’ve seen being taught at the dealers! Absolutely we want all bikers to return home safely. Always look out for motorcyclists!